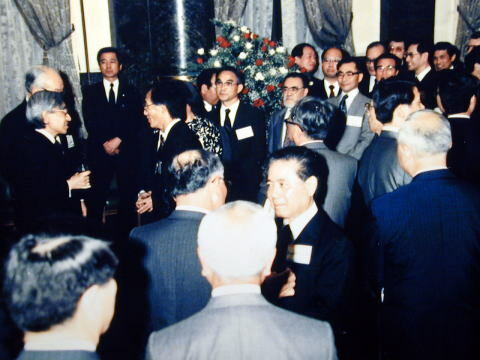 A photography when Dr. Miyamoto talked with the Japanese Emperor, in Marunouchi, Tokyo. The fourth man standing in line awaiting the turn was Dr. Miyamoto. 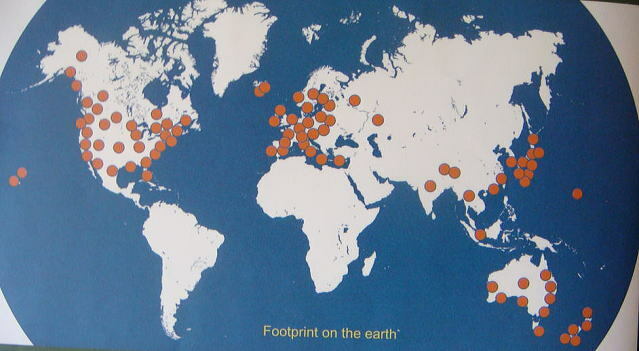 exchange program, Fulbright, between Japan and the United States. Date of photo was unrecorded. However, it was circa 1990. 1959: graduated from Keio University, School of Medicine. 1960: Receive 3-year exchange scholarship program between U.S. and Japan. After 1978 up to 2018, Dr. Miyamoto has retired from a medical practice in the Motoropolitan Tokyo area. Dr. Miyamoto is a director of the website, 'smokefree.jpn.com'. Title: Japan must move faster on anti-smoking law, by Dr.Junhaku Miyamoto. 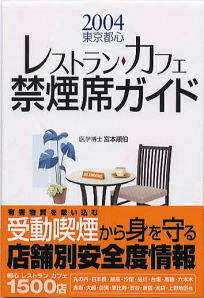 (L) The 2004 Guide Book to the nonsmoking restaurant and cafe in Tokyo by Junhaku Miyamoto, M.D. 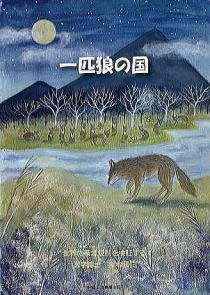 A new book entitled [ The Lonely Wolf Country ] disclosed the memoir of history of inadequate Japanese smoke-free laws. The smoking-restriction ordinance first came into operation in Kanagawa Prefecture, west of Tokyo, in April 2010.
it was requested to select the all non-smoking or with a separate smoking room in their hospitality facilities. This first ordinance to control smoking caused a significant adverse effect to the policy of the central government. to create a smoking room inside of building. The subsidy rate was 25% of construction cost of smoking room. In May 2013, the government increased the rate to 50%, to assist to build a smoking room in restaurants and bars as well. 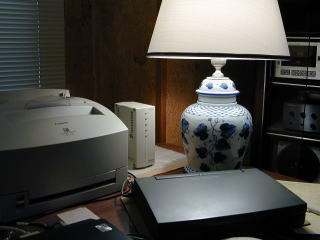 in the hospitality firms. This book was written on the history of smoking control, how and what it happened in the Japanese society. 「一匹狼の国」 1,000 yen: The book will be available at major bookstores, after September 11, 2015. Unless we separate the remains of the war criminals, no Gevernment personals should visit to Yasukuni.